Hanover is home to world-famous race horses. In fact, Hanover Shoe Farms has been the top money-winning horse breeder since records have been kept! Although the farming and agriculture industry is rapidly shrinking, Hanover Shoe Farms is doing its best to stay alive and thriving. The farm was originally owned by a shoe company, hence the name Hanover Shoe Farms. Racing and then eventually horse breeding, was just a hobby that Lawrence B. Sheppard, a junior partner in the company had. The racing and breeding of horses soon became a bigger operation than the shoe company, and as a result, Sheppard sold the shoe company and focused on developing his horses and making a name for Hanover in the world of Horse Racing. 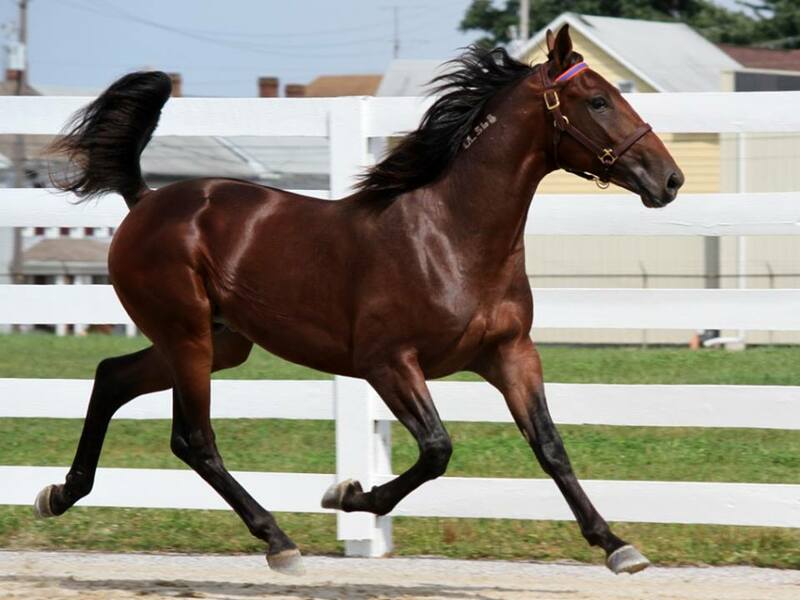 More than 90 years later, Hanover Shoe Farms now has the largest standardbred horse sales in the world. According to Dale Welk, longtime employee of Hanover Shoe Farms, they sell between 1800 and 2300 horses per year. Most of those sales are from yearlings, young horses that are kept and raised on the farm for a full year before being sold. The process of developing these young foals takes a lot of time and preparation; it takes more than 2 years from the beginning of breeding, incubation, and grooming before these young horses are ready for sale. The gestation period for a horse is 11 months; after they are born, the farm keeps the foals until they are of age. During this time the staff grooms, feeds, and socializes them in order for the foals to become champion race horses. Hanover Shoe Farms no longer race any of their own horses; they are strictly a breeding organization. If they do not sell a horse, due to an injury that may prevent the horse from racing, they keep it for breeding. The farm invests in the happiness of their horses and was awarded the highest humanitarian award from the veterinarian group AAEP for always allowing their retired broodmares, horses used for breeding, to live out their remaining natural lives in comfort at the farm where they receive the same care as when they were producing foals. The farm specializes in standardbred horses which are the horses that race with a small jockey in a ‘sulky’, which is a cart attached to a harness on the horse. Welk and his co-workers joke about how different sulky racing a horse is from the typical jockey-on-horse racing that most of us imagine when we think of horse races. “Anybody can ride a horse, but it takes skill to drive one.” laughed Welk. Welk emphasized how important it is for people to come in and take the time to learn about horses. He explained that they are strong, powerful creatures who can be unpredictable at times, but given the proper care by experienced hands they can be gentle giants. That is why the farm has started a new program to work with yearlings every afternoon and work with them, petting them and teaching the foals to get over their fear of humans. Welk said that it is important to interact with them in situations other than just grooming or giving them shots. The farm teaches their foals that there are benefits that come with human interaction other than the sometimes unpleasant vaccines that are necessary. 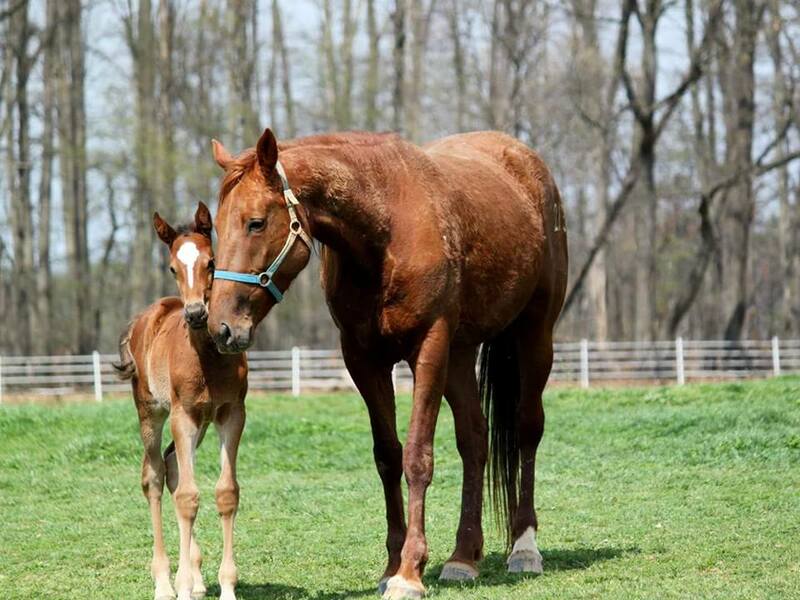 Taking the proper steps to socialize the horses and tame them is a priority of Hanover Shoe Farms, which is why they have recently begun bringing the young foals that they will be selling to the fairgrounds in Hanover seven to eight weeks before being sold. There, the foals are worked with day in and day out being groomed and rubbed to make a friendly horse. It is obvious that the employees that work on the farm are truly passionate about their jobs and the horses on the farms. Several members of the Shoe Farm team have been working there for over 30 years. Welk has been working for the farm for over 40 years, following in his father’s footsteps who worked there for 45.Welk started spending his summers at the farm when he was 14 and over time has worked with essentially every aspect of the farm, whether that be on the farm working maintenance or being a “desk jockey” with sales. Welk and the rest of the staff at Shoe Farms are committed to keeping the farm thriving. When talking about Jim Simpson, current president and CEO of Hanover Shoe Farms and other owners of the farm, Welk only had positive things to say. “This farm will be here as long as their eyes are open.” Welk smiled. “[they’re] committed to keeping the farm here”. Meet the world famous horses on a self-guided tour through the horse farms. The farm is open to visits by the public seven days a week during daylight hours. All tours are self-guided, but if you come between the hours of 8 a.m. - 4 p.m. Monday-Sunday staff may be available for questions. Please note: the best time to see the mares and their foals is in the spring.